My 95 Karakoram, What you got?? Post subject: My 95 Karakoram, What you got?? Here we have my GT karakoram which i believe is a 95 model (I think). Was mainly wondering if anybody was interested a swap?? show me what you got!! Chain	Shimano CN-HG70, 1/2 x 3/32"
Last edited by Robbo1987 on Sat May 11, 2013 4:30 pm, edited 1 time in total. Post subject: Re: My 95 Karakoram, What you got?? Put it in the MTB for sale thread. its in there too pal thought would put it in here for trades. What are you wanting to swap it for? 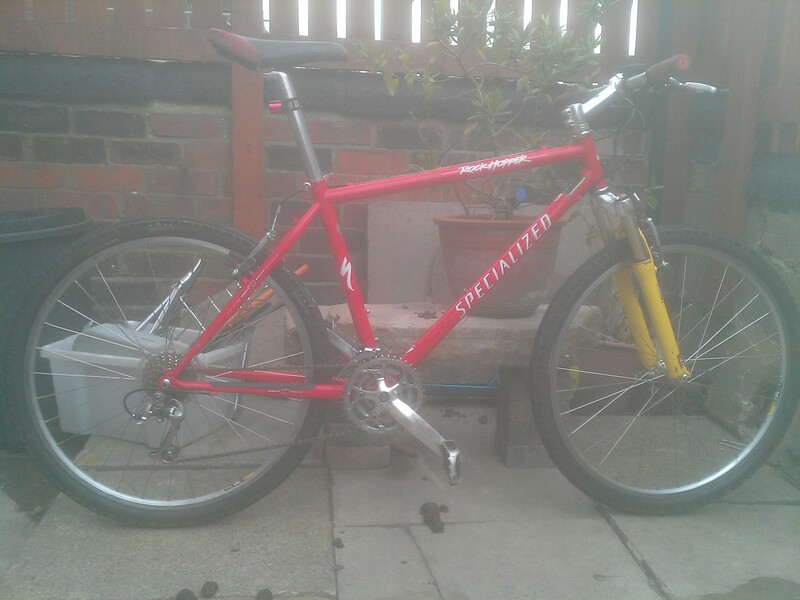 I'll swap my 1997 RockHopper fs 17" (somebody please correct me if I'm wrong).. The paint work isn't too bad. Weight: I bought some crappy luggage scales which you hang it from.. it said 21.5 lb but I don't believe it.. is it even possible with a cromo frame? It is light though. I don't seriously think you'll want to swap, but at least you get a free bump. 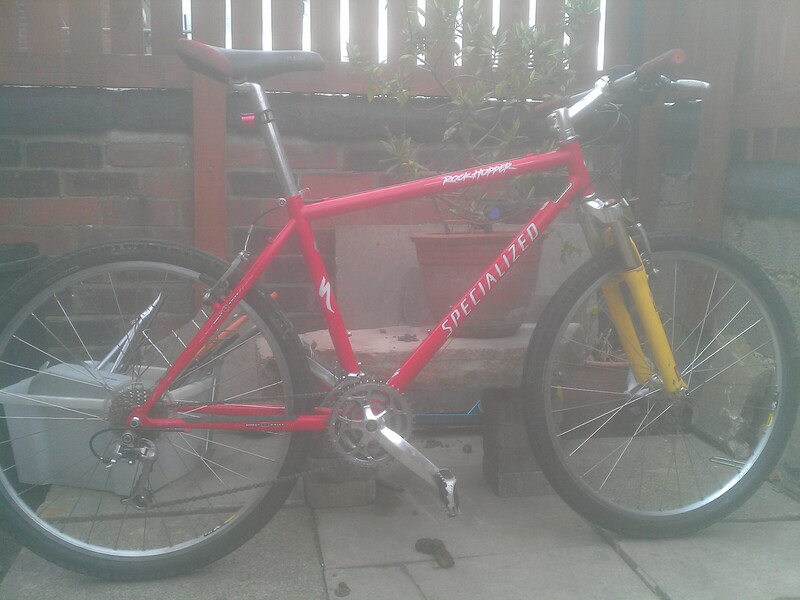 seriously thinking about it mate i do like specialized but could of picked up dog turd lol what shifters on it? ?